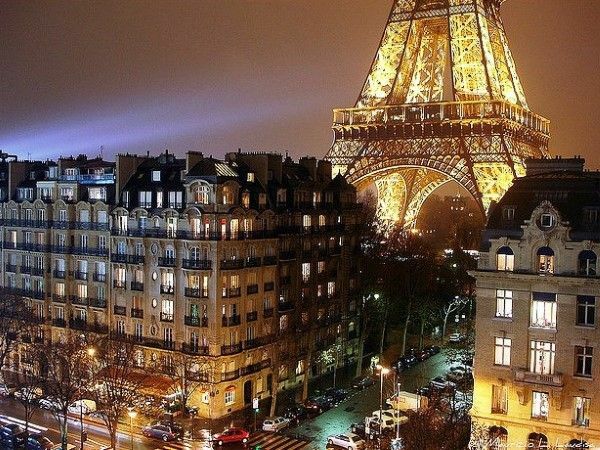 Paris, home of the ultimate City Break. 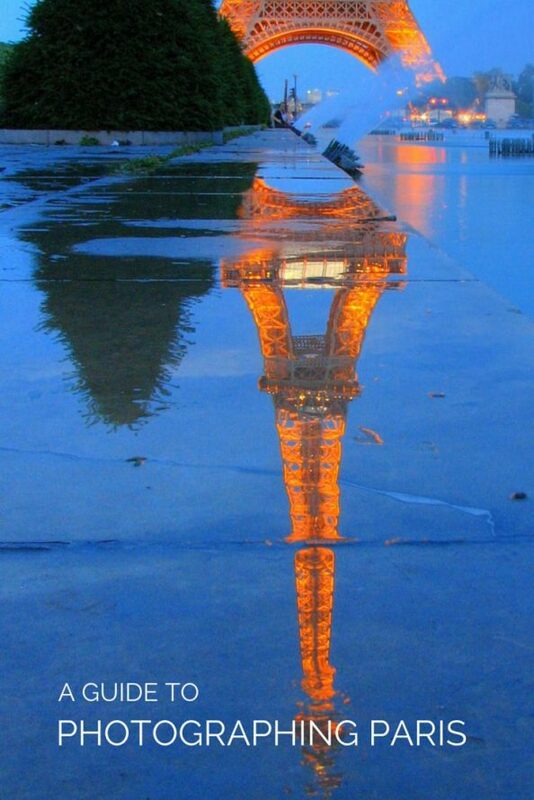 Whether hoping on the Euro Star from London because you have tickets for a Moulin Rouge Paris show or escaping for a long weekend to indulge in the sights and sounds of the city, Paris will provide you with some simply stunning picture perfect photo opportunities. But why not expand your city break photo album and look for a unique perspective? 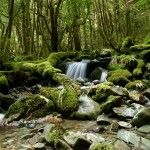 Here are five locations to get your creative juices flowing. 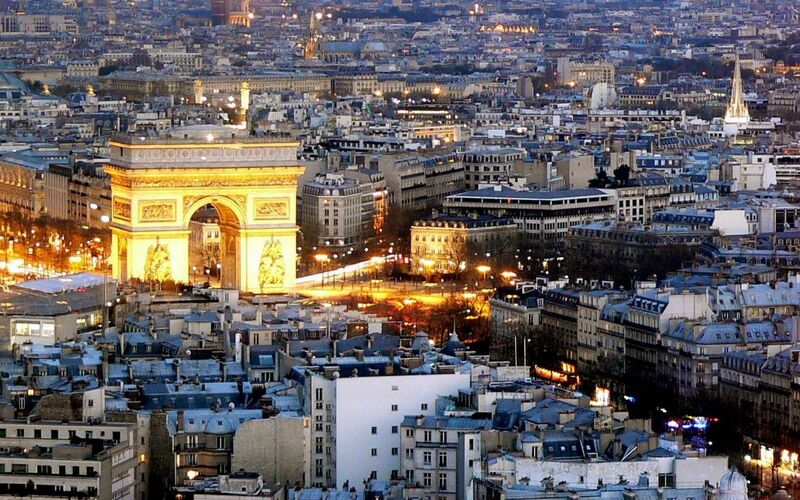 Located in the centre of the Place Charles de Gaulle at the western end of the Champs-Élysées this monument is one of the most iconic structures in the whole city. Commissioned in 1806 it honours those who fought and died for France in the French Revolutionary and Napoleonic Wars. Beneath the Arc lies the tomb of the unknown soldier who fought bravely in World War I, a symbol of the many soldiers who have fallen to serve and protect their homeland, he was laid to rest in honour of all those who died but could not be identified. 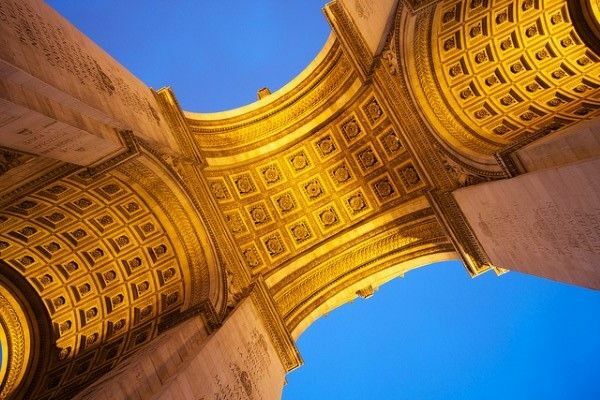 If your inner tourist is screaming out to capture the Arc de Triomphe on film why not stand out from the crowd and capture a different perspective. Avoid the long exposure traffic shots at night and instead head under the arch to capture the beauty in the detailed interior. Book a hotel close by and visit the structure at different times of the day to capture the changing light as the day passes. 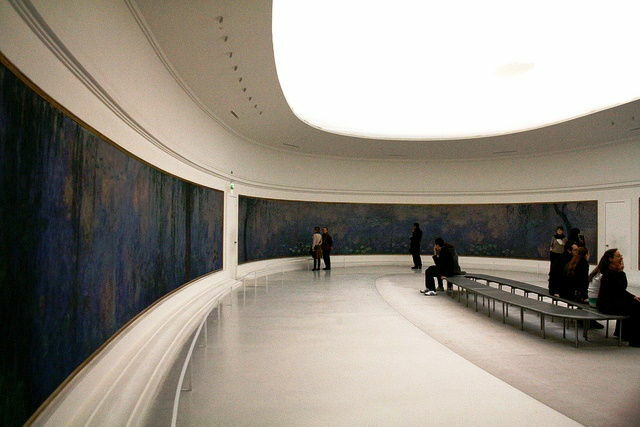 An art gallery of impressionist and post-impressionist paintings the Musée de l’Orangerie is located in the west corner of the Tuileries Gardens. Built in 1852 it was originally designed to shelter the orange trees of the Tuileries Gardens, however it is now home to some of the world’s finest examples of skilful brushwork. In 1922 the Nymphéas series by Claude Monet were donated to the French Government and it was decided that they were to be housed in a newly designed oval room at the Orangerie. So splendid are the decorative panels that one can view them in a room designed to purposefully exaggerate their beauty. While the exterior of the building is indeed worthy of a snap for the photo album it is the elegant sweeping curves of the interior that get my creative juices flowing. Get a shot of the Nymphéas series in the oval room and capture some culture for your photo album. 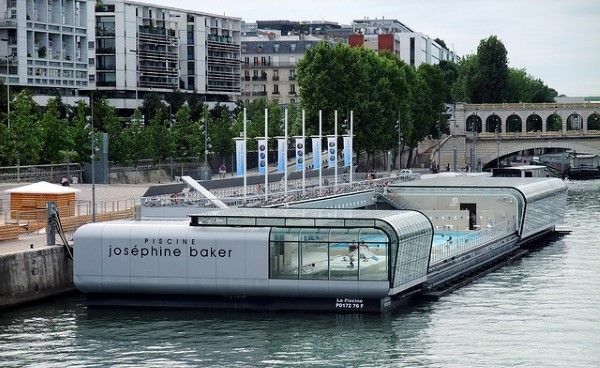 Alluring as the neighbouring Seine River appears I would not recommend taking a dip in its murky waters, there is however a like for like alternative in the form of the Piscine Josephine Baker located…wait for it…on top of the river. A glass walled swimming pool the structure has been built on a barge that has a fixed mooring just below the Bastille and offers a rather unusual view of the city centre. With a very swish retractable glass roof that opens wide in the summer yet protects swimmers from the inclement weather in the winter, its design was inspired by the Jetsons – an 1960’s American animated sitcom produced by Hanna-Barbera – and it was named after a an American-born French dancer, singer, and actress. If you’re after an unusual view it’s worth popping down to this fusion of pop culture and architecture and finding yourself a spot on the deck to catch a few rays. While the pool itself is a meagre 25m in length I doubt you’ll be practising your front crawl, but perhaps you might snap a quirky view of the city. 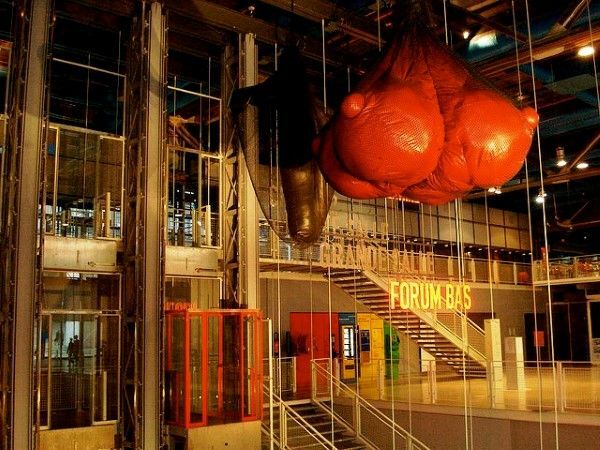 Housing one of Europe’s most significant collections of modern contemporary art the Centre Pompidou has become a central hub of sorts since its opening a little over thirty years ago. Home to one of the city’s public libraries and a stunning performance space the building thrives on a mix of café and culture. An unusual feature, designed by Richard Rogers and Renzo Piano, it appears to be covered in features that one would expect to be visible on the internal design or not at all. It is almost as though its skeleton is visible, tubes and lengths of steel which are colour coded to denote the function they perform litter the exterior. Elements of green for plumbing, blue for air conditioning, red for elevators and yellow for electricity bring the structure to life and provide the opportunity for a little creative photography. It had to feature somewhere on my list. The most iconic structure in the whole of France, the Eiffel Tower has become a cultural image of the country and one really must get a shot of it for your Paris city break album. The structure itself was designed as the entrance arch to the 1889 World’s Fair and has remained a permanent feature of the city skyline. Standing 320 metres (1,050 ft) tall – around the same height as an 81-storey building – it is claimed to be the most visited paid tourist attraction in the world. Often featured in scene setting shots for movies filmed on location in Pairs, a snap of the Eiffel tower is actually best attempted from a distance. While many climb the stairs or take the lift to the third level for a stunning view of the city why not head out into the surrounding neighbourhoods and find a more inspiring angle of the structure itself. My personal favourite is juxtaposed against the suburban architecture that surrounds it. So there’s a little inspiration to get off the beaten track in one of the most beautiful cities in the world. I hope your photo albums are filled with unique views of the iconic capital on your return home. 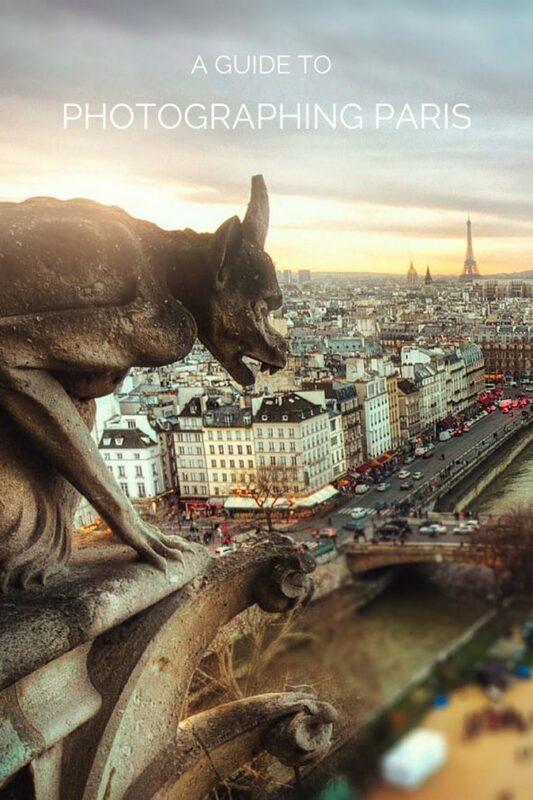 Do you have a favourite photo from your trip to Paris? Share details with us below.